There are still a few freebies left in yesterday’s roundup of the best paid iPhone and iPad apps on sale for free, and you can get them if you hurry. Don’t worry if you missed out on anything though, because we have a fresh roundup for you to enjoy on Tuesday. You’ll find eight premium iOS apps on today’s list and they’re all available for free, but only for a limited time so get them while you still can. This post covers paid iPhone and iPad apps that have been made available for free for a limited time by their developers. BGR is not affiliated with any developers. There is no way to tell how long these apps will remain free. The sales could end an hour from now or a week from now — obviously, the only thing we can guarantee is that they were free at the time this post was written. If you click on a link and see a price listed next to an app instead of the word “get,” it is no longer free. If you download the app anyway, you will be charged by Apple. Subscribe to our feed to be notified as soon as these posts are published, and you’ll avoid missing the sales we cover. Supports iPhone, and iPod touch. 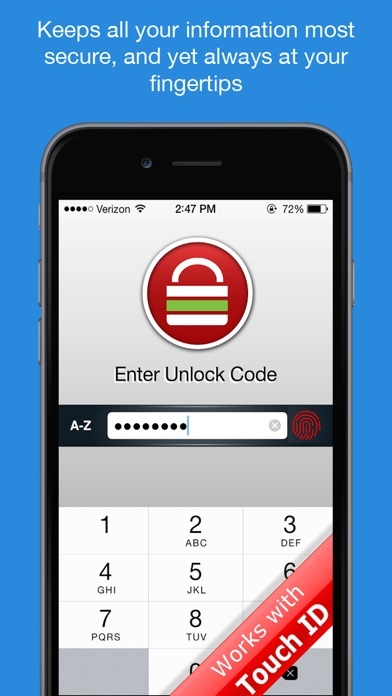 If you own an iPad, please check out iPassSafe Pro – universal app (Supports iPad, iPhone, and iPod touch). ○ Icons pulled in from any of your websites automatically ! > WHY CHOOSE IPASSSAFE ? iPassSafe is available on AppStore since early 2011 with more than 600,000 users worldwide, it delivers most comprehensive, user friendly and reliable solution to personal data security. 1. Remember Your Password ! without it , you will not be able to see your data. 2. Backup is not done automatically, the user is responsible for such a backup (IDB file) using features (iCloud, Dropbox, email, FTP …) exists in iPassSafe to avoid loss of data when device is lost , damaged or any other reason, furthermore iPassSafe is NOT providing any direct cloud service, password retrieval, or backup service for security reason (all data stored on your device only! ), user need to decide where to do the backup (iCloud, user’s private dropbox account, user’s diskonkey using FTP, or user’s email …), the user is also responsible for this backup safety. I have spent 4 evenings loading and trying out at least 29 Password Keepers and have finally found one that is straight forward to use with enhanced security. SMS ++ is an innovative app that lets you send your SMS messages by using your voice only. Since speaking is a lot faster than typing, this easy-to-use app will help you send your text messages easily and quickly. In addition to speech recognition, the app instantly translates your speech into the foreign language of your choice. Wouldn’t that transform the way you communicate with the world? ● Send messages using WhatsApp. ● Send your message in a foreign language. ● Beautiful and minimalistic design. العربية, English (Australia), English (UK), English (US), Español (España), Español (México), Bahasa indonesia, Bahasa melayu, čeština, Dansk, Deutsch, français (Canada), français (France), italiano, Magyar, Nederlands, Norsk, Polski, Português, Português brasileiro, Pyccĸий, Română, suomi, Svenska, Tϋrkçe, Ελληνικά, 한국어, 中文(中国), 中文(臺灣), 廣東話, 日本語. Arabic, Basque, Catalan, Chinese, Chinese (traditional), Czech, Danish, Dutch, English, Filipino, Finnish, French, German, Greek, Hindi, Hungarian, Indonesian, Irish, Italian, Japanese, Korean, Latvian, Lithuanian, Malay, Norwegian, Polish, Portuguese, Romanian, Russian, Spanish, Swedish, Tamil, Telugu, Thai, Turkish, Ukrainian, Urdu, Vietnamese, Welsh. If you want to send a text message while driving or you’re just tired of typing, then SMS ++ is definitely for you! 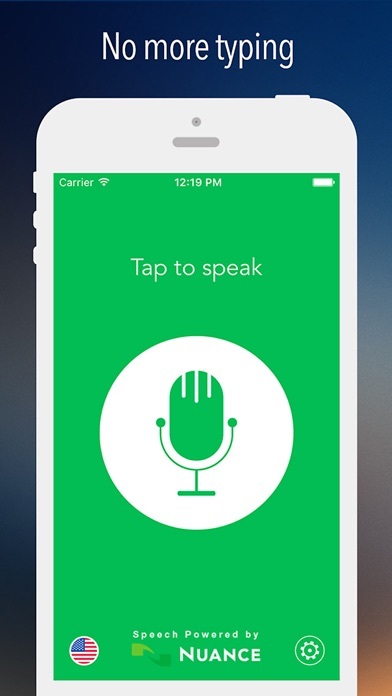 Email ++ is an innovative app that lets you send your emails by using your voice only. Since speaking is a lot faster than typing, this easy-to-use app will help you send your emails easily and quickly. In addition to providing a more efficient way to type your emails, Email ++ can also be up to 5 times faster. If you want to send an email while driving or you’re just tired of typing, then Email ++ is definitely for you! 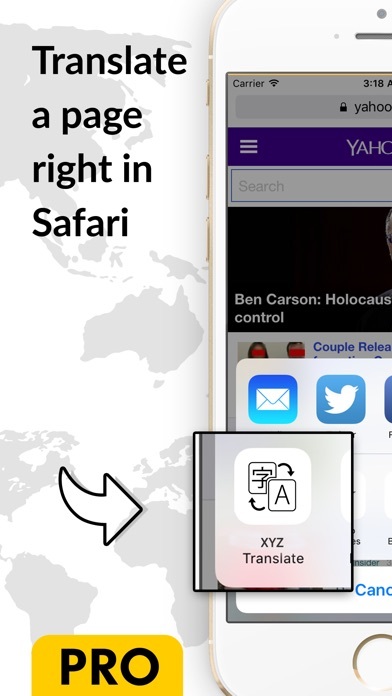 XYZ Translate is a very quick way to translate any page to any language while not leaving your Safari browser at all. The translations are powered by Google and are 99% accurate. Just 2 taps to translate any page. The app supports 50+ languages and is very simple to use. 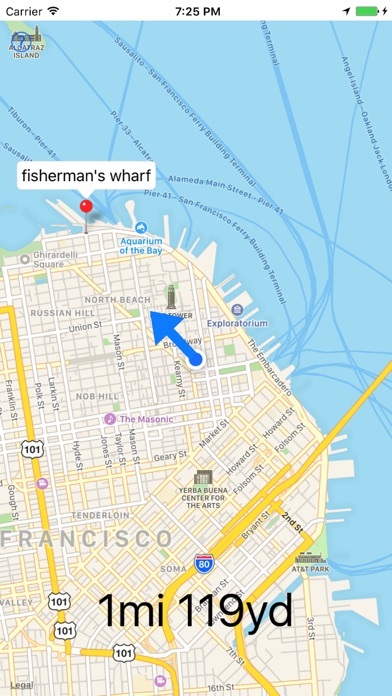 This Way is a map app that rotates by itself to match where you’re heading, so it’s easier for those who can’t read maps. As you get closer to your destination, the map zooms in automatically, so you can check confirm where you are by comparing it to your surroundings. – Choose where a picture was taken. *The app has below LIMITATIONS. Available for iPad and iPhone. +39 Questions to get your IQ! Mensa IQ test. +33 Questions to get your IQ! European IQ test. 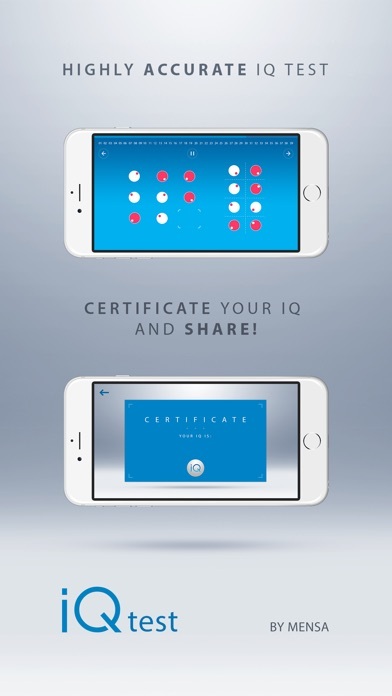 An intelligence quotient (IQ) is a score derived from one of several standardized tests designed to assess intelligence. The abbreviation “IQ” comes from the German term Intelligenz-Quotient, originally coined by psychologist William Stern. 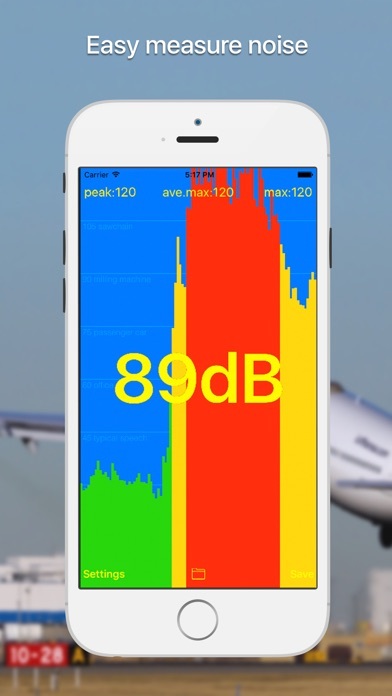 dBA Meter app well calibrated with professional noise meter tool OKTAVA 110A-PRO. -Upside down orientation to easy use. 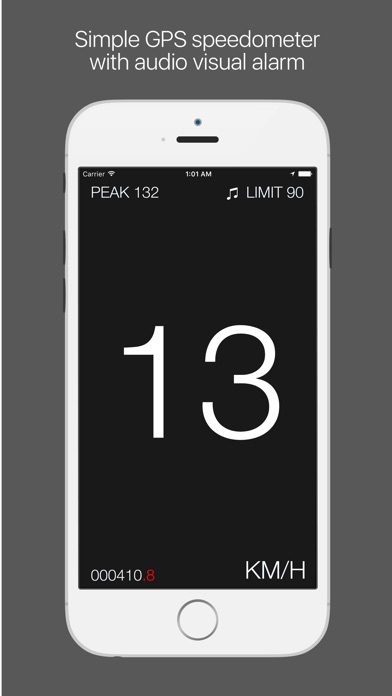 To reset maximum or average maximum – just tap on it. It can help you not exceed the limit of speed . Speed limiter with sound and visual alarm. HUD. Two mirroring modes for best uses on any tilt just swip up or down.